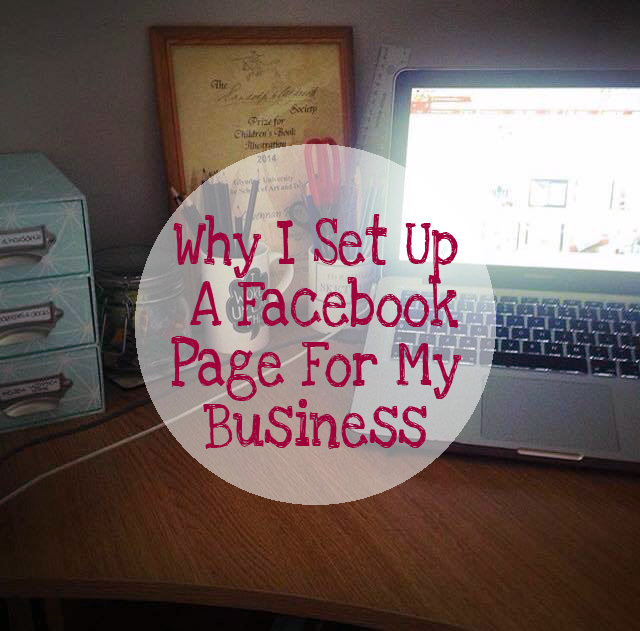 I have always said I wouldn't set up a Facebook page for my business. I am a bit tetchy over the rights to images posted on the site and the ease of access and redistributing so I categorically said nada. On September 29th I changed my mind. After spending a lot of time researching mindlessly scrolling online I cottoned on (soz, I know I'm late to the party) to just how good Facebook is for generating content. Ok so it might not be the best platform for sharing images and the rights and legalities are dodgy at best, but, for content and blog posts and promos - it's viewing gold. And so, I set up a second profile to my private account and made a professional freelance illustrator and blogger page and I am converted. Facebook is so good for sharing content and if you haven't set up your own business page you won't know about the facilities available but the stats tracker, the notifications, the insights and the ability to boost your content is second to none. Facebook is *probably* even better for sharing content than Twitter. Yeah I said it. Twitter is integral to a social media campaign, to sharing images, to connecting with people and to getting into discussions with likeminded individuals. But Facebook, oh Facebook. Sharing on Facebook means no more limiting your characters, means sharing images and links in one post (soz Twitter, there just ain't enough room) and sharing content is just so simple. People share things on Facebook without a second thought and once it's on their newsfeed and one of their friends likes it, it's on another newsfeed, and another and suddenly it's been seen by 300 people in an hour. There are A LOT of people on Twitter, but EVERYONE is on Facebook. It's content sharing is like nothing else, I seriously cannot stress the benefits enough. So whilst I might not share my most precious images, some of my doodles and all of my links and blogs are constantly being promoted on good old FB and I haven't looked back since. Oh and if you do want to give my page a like, go ahead, find it here. Cheers pals. Dec 8 Free Apps For Blogging & Marketing.